Here’s an Omelette aux Fines Herbes recipe inspired by the movie, The Hundred-Foot Journey, starring Helen Mirren. I say inspired by since this 100 foot journey omelette recipe isn’t the one from the movie. Instead, it’s more of an easy omelette recipe, courtesy of Le Cordon Bleu Cuisine Foundation. It was sent to me by the Dreamworks movie studio when the movie was originally released. It also isn’t the best omelette recipe described in the book, which is also different from the one in the movie. 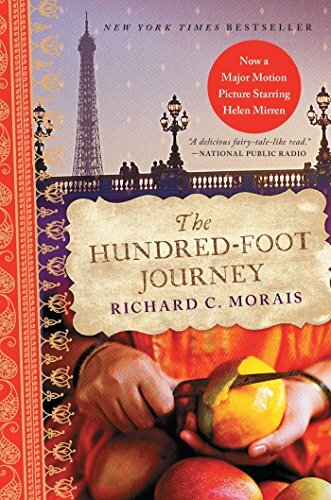 What, you didn’t know that The Hundred-Foot Journey movie is based on The Hundred Foot Journey: A Novel? Actually, the story shown in the movie is just a small part of the book. So if you liked the movie, you’ll be crazy about the 100 Foot Journey Book! Instead, if you want something more like the movie, check out the Sunday Morning Masala Omelet from Floyd Cardoz. He was the consulting chef on The Hundred-Foot Journey movie. 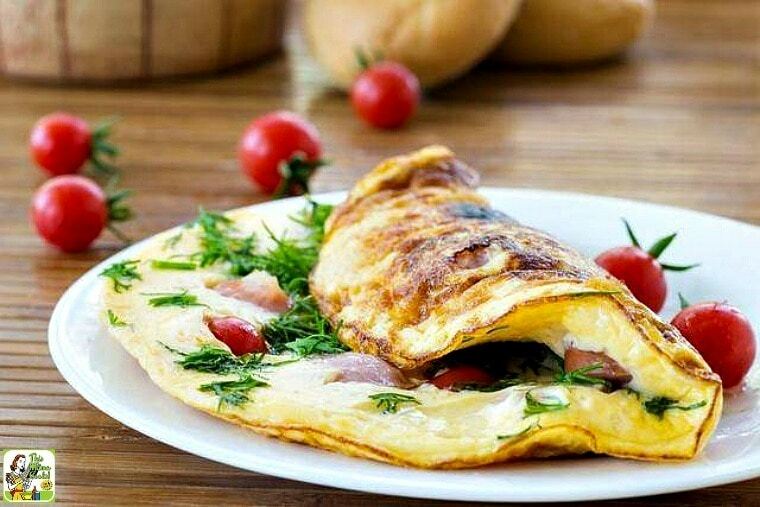 Omelettes or omelets (depending on if you want to use the French or English spelling) are the ultimate in French cooking. My mother is French and a very good omelette maker. Me, I’m a wiz at frying up the perfect runny egg. I leave the easy omelette recipes to my husband, Paul.His preferred method using a lid to cover a non-stick omelet pan to steam the egg. It's best to have a non-stick pan so you can slide your 100 foot journey omelette out of the pan right onto the plate! This makes more of flipped over frittata (probably because it's so stuffed with goodies) than an omelette, but whatever works. It's all delicious! Traditionally, perfect omelette recipes are rolled using a cloth. Not only does this assist in giving the omelette its final torpedo shape, but it also absorbs any excess butter from the cooking. If you find that a little tricky, maybe this method for Omelette aux Fines Herbes from Jaime Oliver can help. 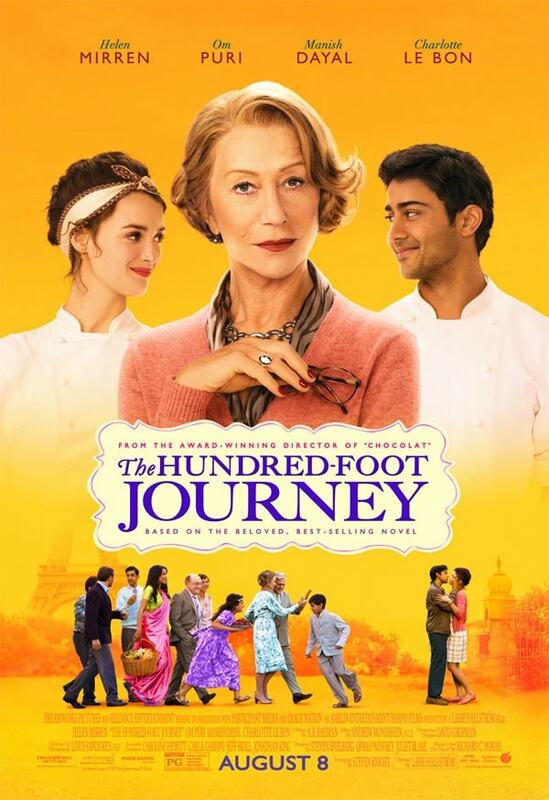 Make sure to check out two other 100 Foot Journey recipes inspired by the movie: Tandoori Chicken Wings – a wonderful party appetizer – and if you’re feeling adventurous, Beef Bourguignon à la Hassan. Pick the leaves off the chervil, parsley and tarragon, and trim the bottoms off the chives. Blanch the herbs separately in boiling salted water, then refresh immediately in ice water. Squeeze our the excess water and finely chop. Warm a large plate, and brush the center with melted butter. Lightly season with salt and pepper. Set aside in a warm place. Break the eggs into a large bowl, season, and whisk well. Mix in the chopped herbs. Heat the clarified butter in the omelet pan over medium heat. When the butter is hot, pour the egg mixture into the pan. Stir gently with a fork, lifting the bottom to allow the uncooked eggs to flow underneath. The eggs should not set too quickly or take on too much color. Once the eggs are almost. completely set, that is, they can no longer be stirred, give the pan a good shake or tap. Lift the pan almost vertically. With the aid of the fork, fold the omelette in half and slip it onto the prepared plate, folding it again onto itself. Cover with a dean kitchen towel, and press along the sides, forming points at each end. Brush the top of the omelette with clarified butter before serving. Originally published on January 18, 2014. Photos used with permission from Dreamworks. Next post Got lemons? Make this Meyer lemon shrub drink recipe! You obviously did not see the movie. This is not the omelette that was created. True! This recipe is more like a traditional French omelet and not one created in the movie. What was done in the book was different, too. I know. Very disappointed not to be able to find the recipe as the movie depicted. I saw eggs, paprika?, salt, red chili pepper, cilantro (or flat leaf Italian parsley), and heavy cream. I think they sprinkled in some onions after pouring into the hot skillet. I’ve never seen an omelette stirred in the pan like that but learned it is done to keep the egg mixture from sticking to the pan.